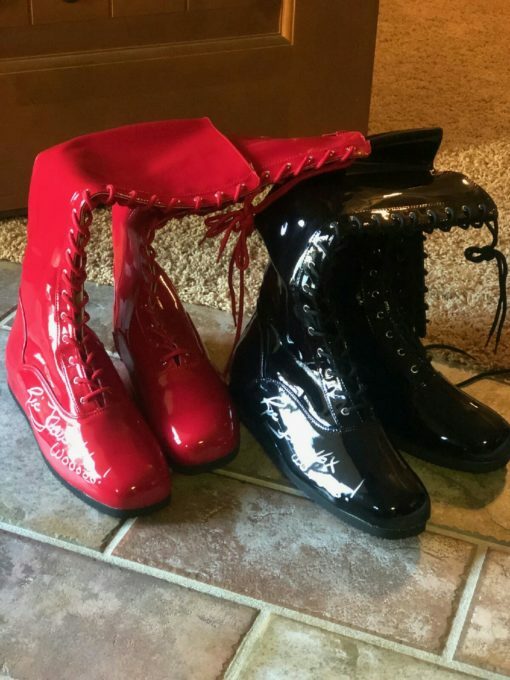 Wrestling boots in Black. 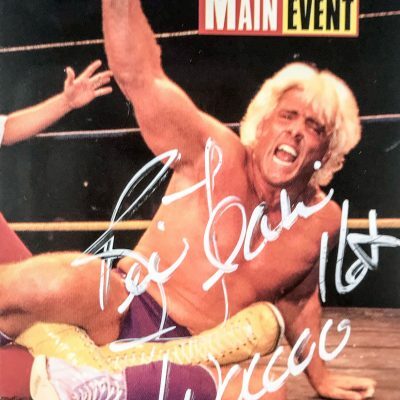 Limited edition signed by the 2x Wrestling Legend and Hall-Of-Famer Ric Flair, the Nature Boy in silver marker. 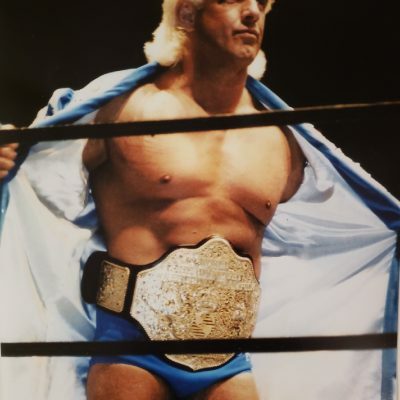 Ric Flair 16x Wooooo! is what The Man wrote on these black collector’s item. Add them to your collection of memorabilia. Only 3 in black available! These limited edition wrestling boots are signed by the wrestling legend himself in silver marker. 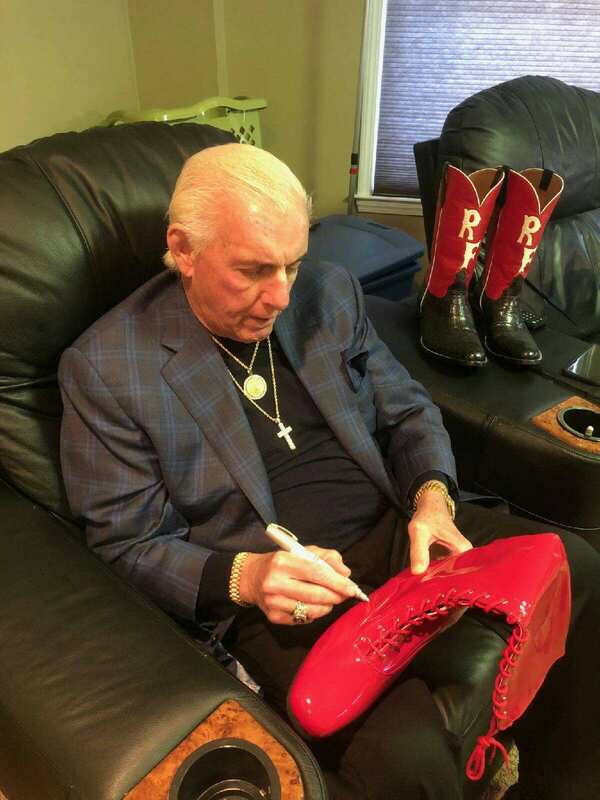 The autograph on these real-sized boots says Ric Flair 16x and woooo! 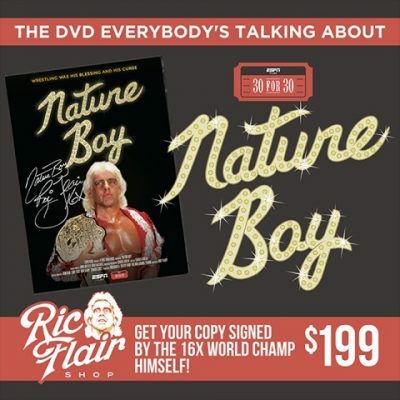 Comes with a copy of a picture of the Nature Boy Ric Flair actually signing the boots. Can’t get more authentic then that.